Helmets are like insurance. You pay for it! You know it’s a good idea! However, you truly hope that you never need it! And buying the best coverage is worth it. Especially in this case, where your head, skull, noggin, brain, etc. is a vital component to your well being. The use of a helmet is pretty much a standard thing these days. Especially, when it comes to the active riding and racing crowd. On the other hand, the helmet debate among the commuters and casual riders has been up for a discussion. 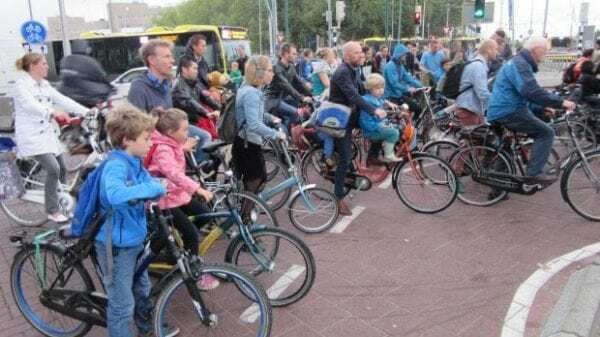 I happen to have been born and raised in the most bike friendly nation in the world, The Netherlands. Notice the lack of helmets in my native Holland. An accepted bike culture makes for a safe ride which is not the case in most countries including the U.S. I never wore a helmet as a kid, and most bikers you see (and you see a lot of them) are not wearing a helmet. There are many factors at play, but the general cultural attitude is completely set up to favor the bike. Also, commuting speeds are lower, and the bike handling skills and rules of the road are cultivated at a young age. That said, its an entirely different story here in the United States. I always wear my helmet, because I value my health and safety. The general public acceptance of riding a bike is way different. Plus, I need to set a responsible example to my little girls. Simple display box to provide a nice visual. It’s also packaged up to prevent it from any damage before it even gets to you. I know, it is a helmet after all, but still….. I do a 2 to 3 serious group rides per week with 50+/- other riders at speeds hitting 30-35 mph. Crashes do happen, and road rash is usually a given. It’s an unwritten rule that this is a sport that has its dangers, but wearing a helmet is a “must” if you want to play with the big boys. Also our Colorado mountains offer some thrilling descents which can have you go 40+ mph in no time fast. The EPS liner is thicker in the most exposed and key areas of the helmet. I do feel like this helmet has more sustenance to it when I’m wearing it. That is only really an issue when I look in the mirror and I notice a sizable helmet on top of my head. See photo below. This is purely a visual thing, and nothing I am too concerned with. The added padding was put there for a reason, so I will gladly take the safety precautions. Pre ride selfie with a fellow rider and POC helmet owner. This added material provides more coverage for the temples and the back of the head. With other helmets I do notice that it can ride up if not properly fastened. The POC Octal has not presented much movement over the course of the last month. A snug yet comfortable fit. 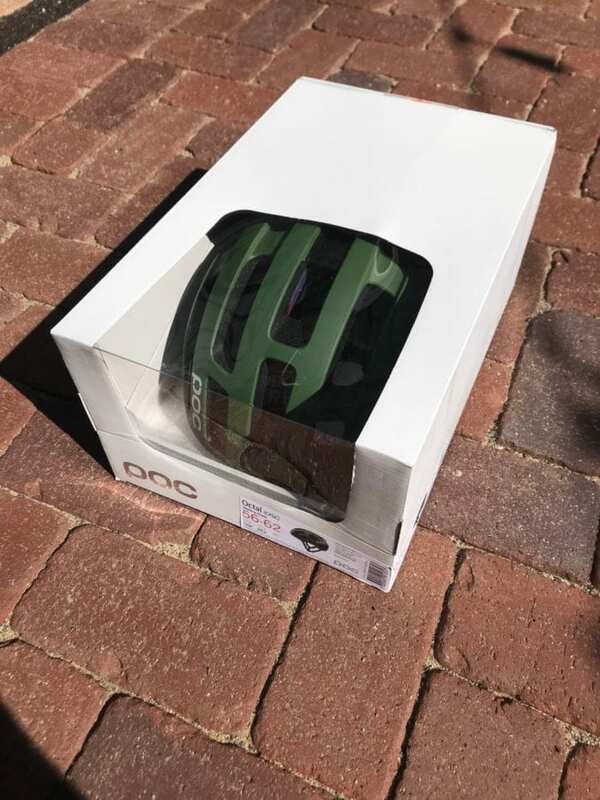 The POC Octal comes in around 200 Grams which is nice and lightweight. Safety is number 1, 2, and 3 in the voting, but being that it is lightweight is icing on the cake. Larger and fewer ventilation holes equals increased air flow and aerodynamics. Now that’s one large ventilation hole. Almost like a jet engine shooting air out the back. That would be interesting to see in a wind tunnel simulation with visible air flow. Testing a helmet from my perspective will hopefully be incomplete or lacking crucial information. The crash test is something I hope to not have to report on! I’m sure POC has their own version of taking a sledge hammer to their helmets, but I’d rather not lay my bike, body, and helmet to the pavement to bring an up and close personal version of how the helmet worked. However, I will explain the technological advances, advantages, and areas of improvement. Speaking of technological advantages, the helmet sure has come a long way from the old school Styrofoam lid with cloth cover that I started with in the 1990’s. 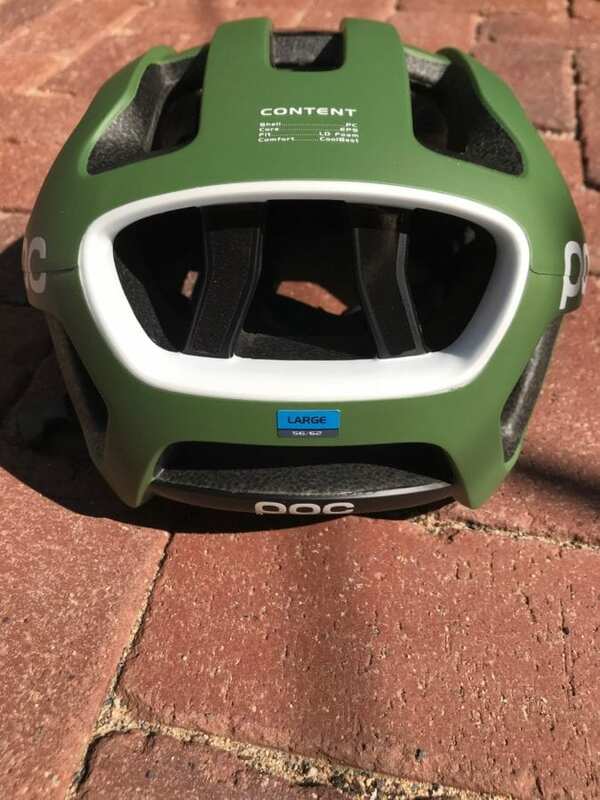 As luck would have it, or the misfortune of another, a fellow rider does have some first hand knowledge of the benefits of wearing a POC Octal Helmet. He was involved in a crash during a race. It was the final sprint and the field was going 37 mph. Someone twitched, bikes went flying, and a lot of guys went down (I have seen the video). My friend went straight over the handle bars and literally landed on the back of his head. The photo speaks for itself. The carnage of this spill was significant, but he did not have as much as a headache from this crash. He is a true POC believer, and is currently sporting a new one. POC customer service was incredible, and worked with him to get him back on the road safely. In a review, damaged equipment is usually not a good thing. 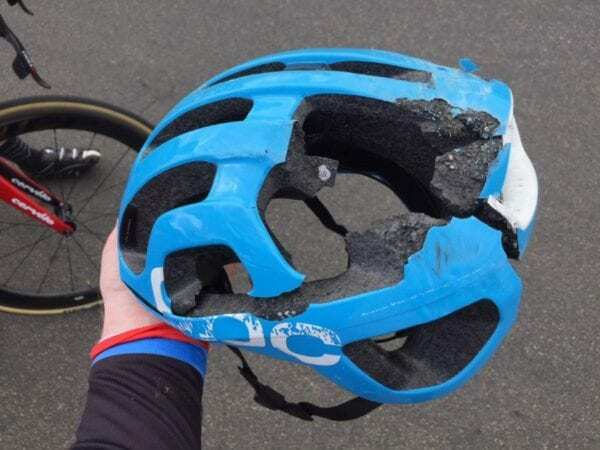 In this case, it is evidence of what this POC Octal Helmet can do. 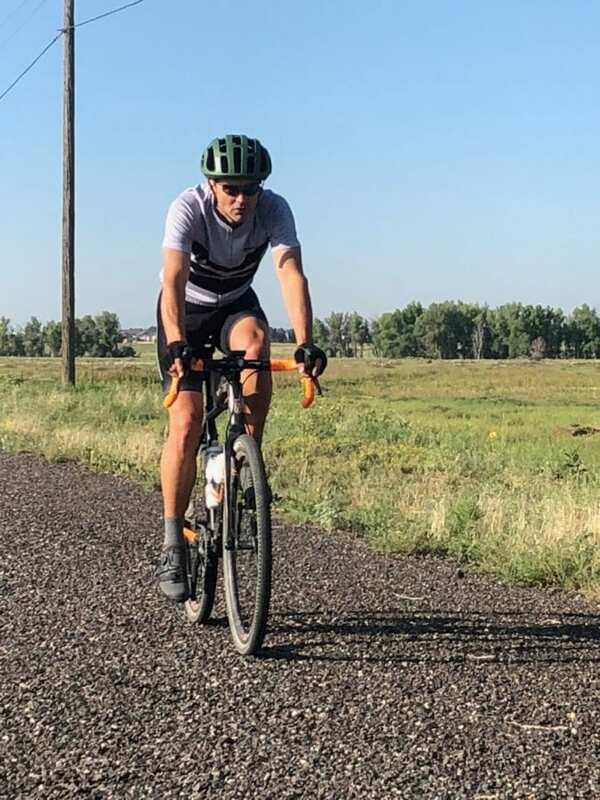 Several weeks in, and I have now worn the POC Octal Helmet about a dozen times. Miles and times ranging from 30-50 and 1.5 to 3 hours. The fit is really good. Tightening the straps on any helmet always has its issues for me. There seems to be some trick to it, that for some reason I’ve never figured out. The buckle by the chin is no problem. It’s the straps coming down from around the ears that never seem to line up quite right or tighten correctly. I have managed to figure it out for the POC Octal. Definitely easier than in my previous helmet attempts. 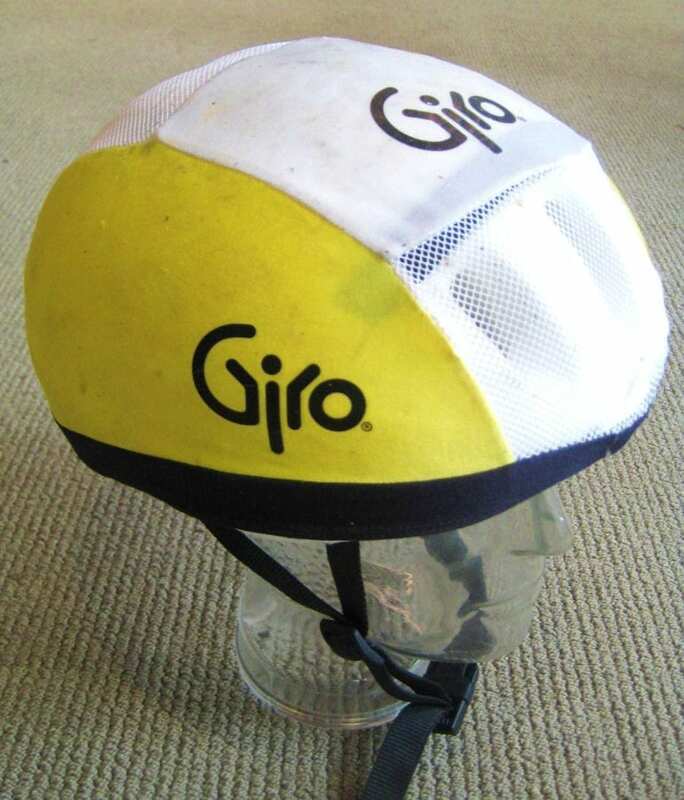 On my first ride, I noticed the plastic straps (for lack of a better word) or band on both sides as they tightened slightly onto my head. Not uncomfortable, but noticeable. On other helmets I have that tightening mechanism rope as well, and it is encased in the plastic framework that goes directly onto my head. Over time, that issue has dissipated for me, but it took a few times to get used to it. I do a fair amount of adventure riding as well. It’s a nice hybrid of road versus mountain. Safer, because the cars are taken out of the equation, and less technical terrain to maneuver through. The POC Octal has been a welcome addition when I go exploring. The look of the POC Octal Helmet. That’s been a bit of a debate among my fellow riders. Some like it, some don’t even think about it, and some hate it. 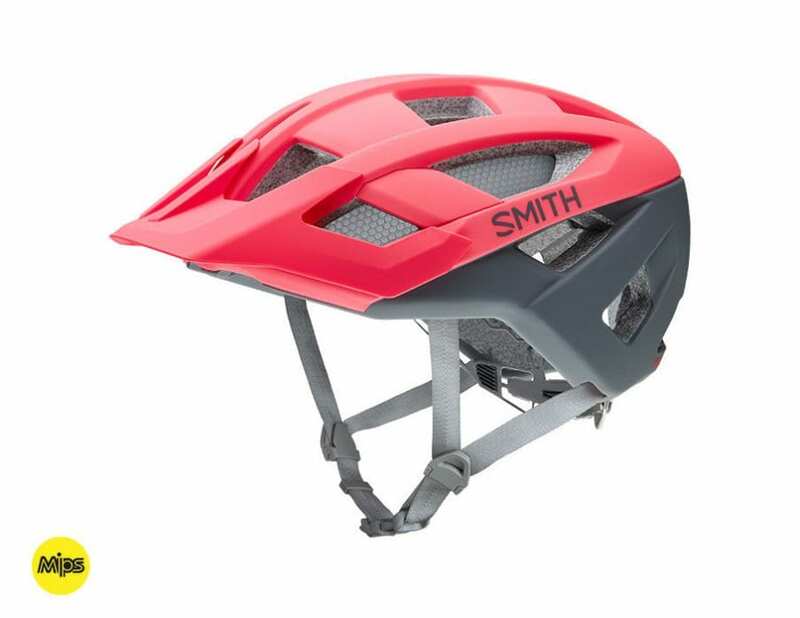 In general, the bicycle helmet industry has seen some rather dramatic styles lately with a more arrow focus all the while incorporating the technologies for a safer brain protector. The POC Octal has a turtle-like shell look about it, and is rather large on my noggin. All in the vein of providing a safe layer, so I have no qualms about it’s size and look. I’ve seen a dramatic increase in riders wearing the POC helmets these past few years. They must be doing something right in the marketing department, but more so in the product development and safety arena. A helmet starts out as something you know you need, and you pick one up that does the job. Over time, as you stick with cycling, the bikes get nicer, and you value the protection a good helmet can provide. I have seen my fair share of crashes, and have been in a few myself as well. I once landed on my face, and the helmet didn’t help at all there. At the speeds we go, the mountains we climb, and the traffic we encounter, adding as much protection is crucial. Out on the roads, we have thrown padding to the way side for most of our body, but rightly so, the head gets a proper layer of protection. 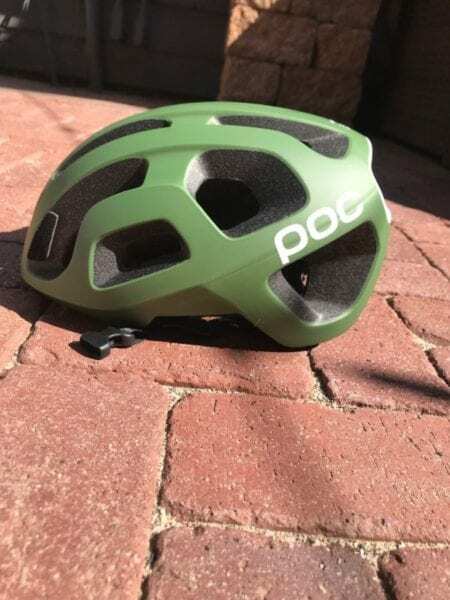 The POC Octal is a solid contender to provide proper protection to the head, skull, and brain. I don’t take that lightly, and don’t mind paying a little extra knowing that I can go out and play on my bike with proper insurance in place. Take a look at their wide array of options for various uses. I think you’ll like the POC Octal! 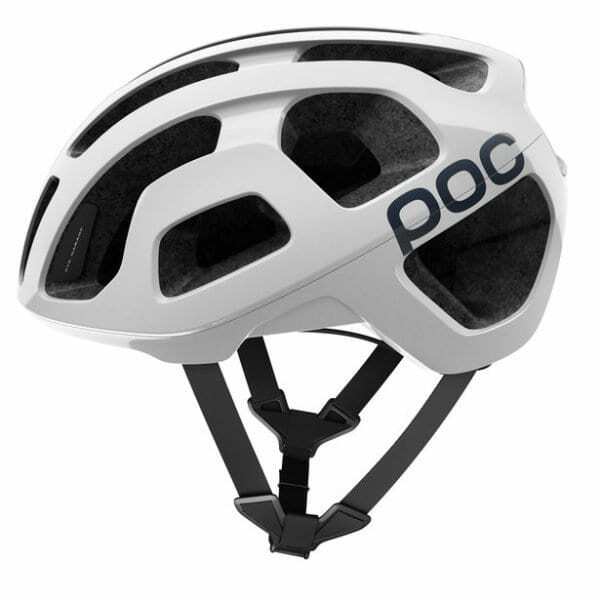 For more information on the POC Octal and their other helmet offerings please visit www.pocsports.com.